Welcome to The Liberty Company and thank you for visiting. We are an independently owned insurance broker serving businesses, non-profits, individuals and families, since 1987. 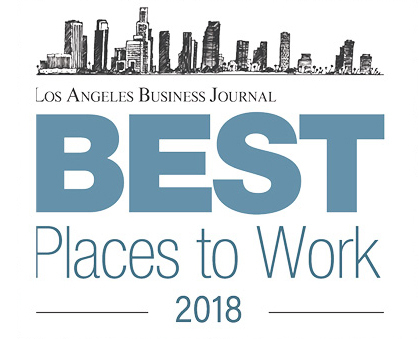 The Liberty Company is very excited and proud to announce that our LA office was named one of the Best Places to Work by the Los Angeles Business Journal. The Liberty Company is an independently owned full service insurance broker handling the commercial, personal, and employee benefits insurance needs of businesses, non-profits, and individuals for more than 30-years. With a team of over 100 talented professionals working with approximately 20,000 clients, we strive to develop and maintain close relationships with our clients in order to manage their risk, explain coverage options, and provide reliable service and counsel that goes far beyond a mere price indication. We also provide loss control, claims management and other specific risk services as needed. The Liberty Company Insurance Brokers is proud to recognize Madelyn Ovsepyan as Liberty’s 2018 Employee of the Year. Teamwork, dedication, and a contagiously good attitude are tantamount to being employee of the year. Madelyn embodies all of these characteristics making her the obvious choice for Employee of the Year! The Liberty Company Insurance Brokers is pleased to recognize Nickie Heath as Liberty’s 2018 Producer of the Year. As a Managing Partner of the San Diego office, Nickie is a shining example of the heights a positive attitude, personal drive, and team work mentality can bring you! The Liberty Company Insurance Brokers, one of the fastest growing privately held agencies in Los Angeles, is pleased to announce and welcome Paul R. Lopez as Vice President of Liberty’s Entertainment Division. The Liberty Company Insurance Brokers is proud to announce Tom Wasiewicz to our Employee Benefits Insurance Division. Tom brings eight years’ insurance industry experience to Liberty, with a focus on corporate-level medical coverage. He will be joining the new Santa Monica office, helping Liberty grow its Employee Benefits Insurance division.